You can upgrade to WPVR Pro from the dashboard. Go to WPVR > Get Started. On the top, you, click on Go Premium. Then either click on the button Get Premium Version on the left side or click on Upgrade to Pro on the right side. As you can see, we have great plans that are very affordable. Choose the plan that suits you and click on the Upgrade Now button below the plan you decided to go with. 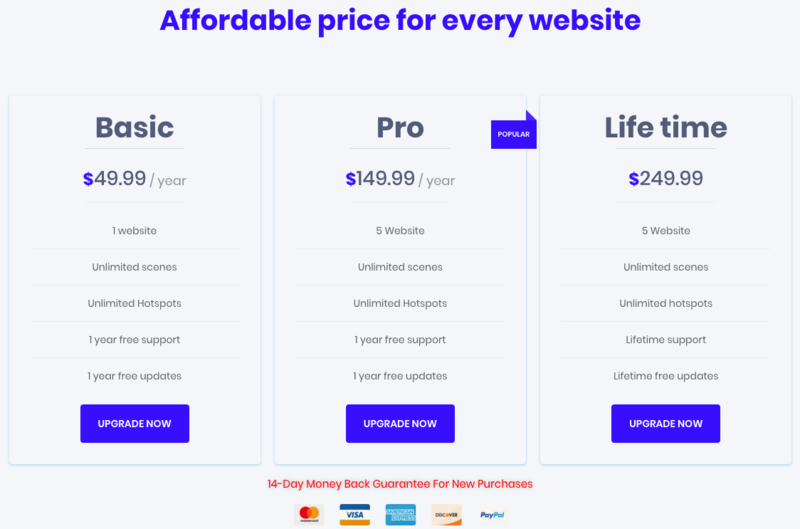 Once you click on Upgrade to Pro, it will take you to the Checkout Page. To complete the purchase you need to be signed up on our customer portal. If you do not have an account, below the checkout page, you will be required to fill out some basic information, to create a Customer Account on rextheme.com (so that you can easily track your purchase history, license(s) purchased and the website(s) in which you used the WPVR Pro license). Below, there is a link called Show Terms. Click on it and make sure to read the terms and conditions. Once you have read the terms and conditions, mark the checkbox and click on the Upgrade Now button to proceed to the payment procedure where you can complete the purchase. You will be notified that purchase is successful. You will also get an e-mail from us which will include your purchase details, license key, and a downloadable WPVR-Pro zip file. To collect the license key, go to https://rextheme.com/ and on the right side of the menus, click on Account. If you are not logged in, you will need to log in with the ID and Password that you set at the time of purchase. Else, you will be taken to your account page. 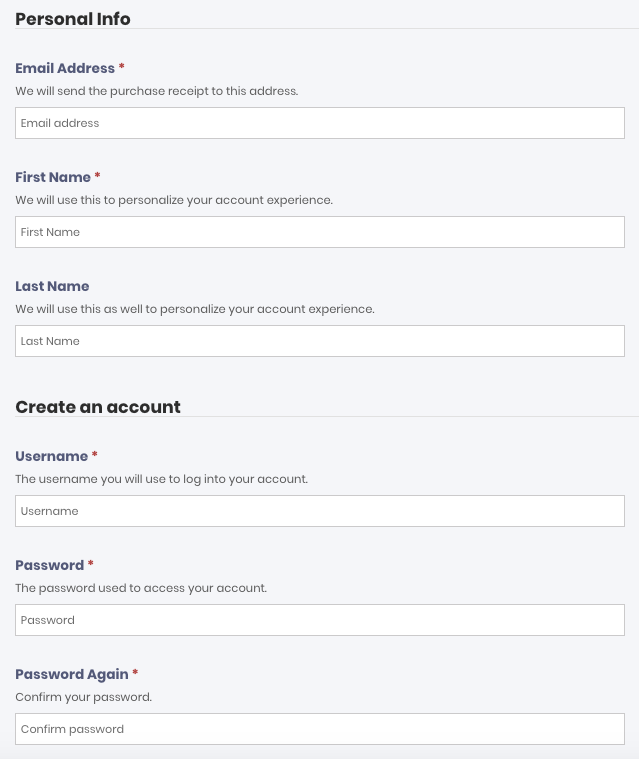 Here’s how your account page will look like. Go to the License Keys Menu and you will find the license key(s) on the left side, which you can copy. Once you have the WPVR-Pro zip file and the License Key(s), you are ready to upgrade the plugin to Pro. FYI: Make sure that you have the free version installed and activated on your website for the upgrade to be successful. Now, go to your Dashboard> Plugins > Add New. On the top left corner, you will get the option to upload plugin. Click on that and upload the WPVR-Pro zip file. Once you upload, install and activate WPVR-Pro, you will notice on your dashboard, a new tab has been added below WPVR called WPVR License. 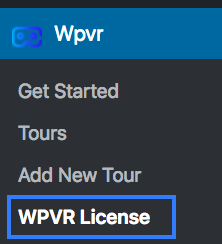 Plus, you will be redirected to the WPVR license tab on your dashboard. Enter the License Key on the provided field and click on Active License button. Once activated, the page will refresh and it will indicate that the license is activated. Then click on Save Changes. Make sure to press the Save Changes button so that your license key is safely stored. That’s it. 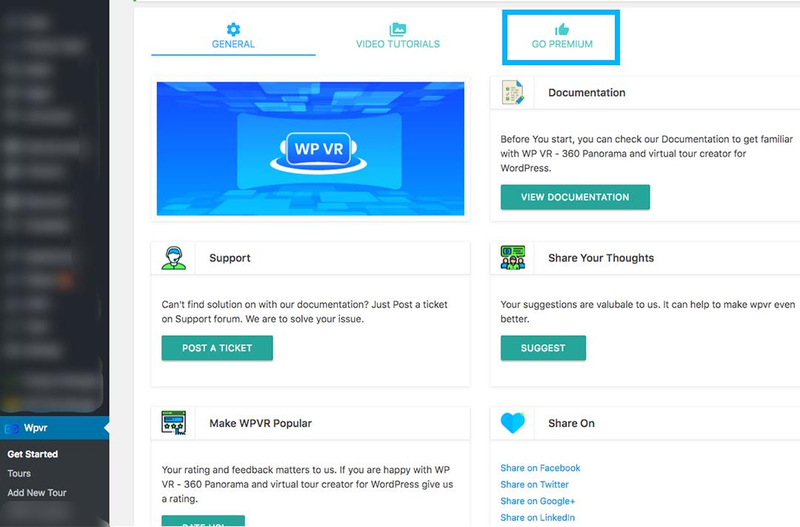 You now have full access to all the Premium features of WPVR.